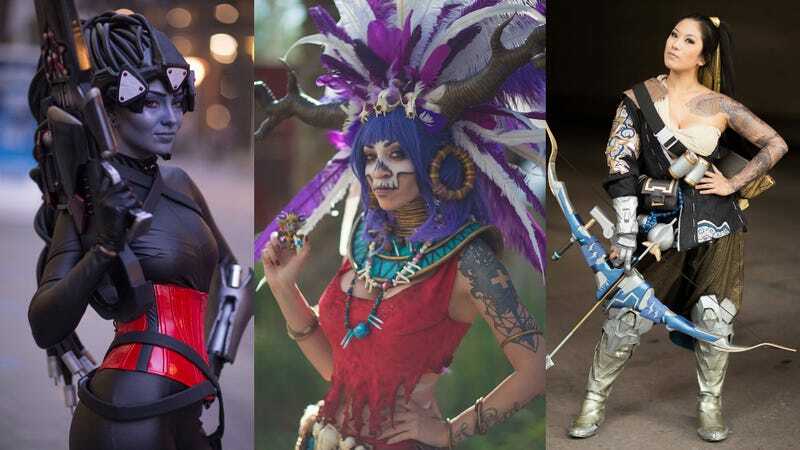 Blizzard’s annual celebration doesn’t just attract the studio’s biggest fans, it also attracts some of the biggest cosplayers, some of whom were even there in an official capacity. Below you’ll find a big gallery showcasing the talents of these cosplayers (and some photographers), who show that one of the few things that can match their combined talents are those of the folks at Blizzard who designed these awesome characters in the first place. And here are some bonus shots of Oshley Cosplay’s Varian Wrynn, which took out second place in the official competition (first place went to the Grommash above). Photos by The Will Box.